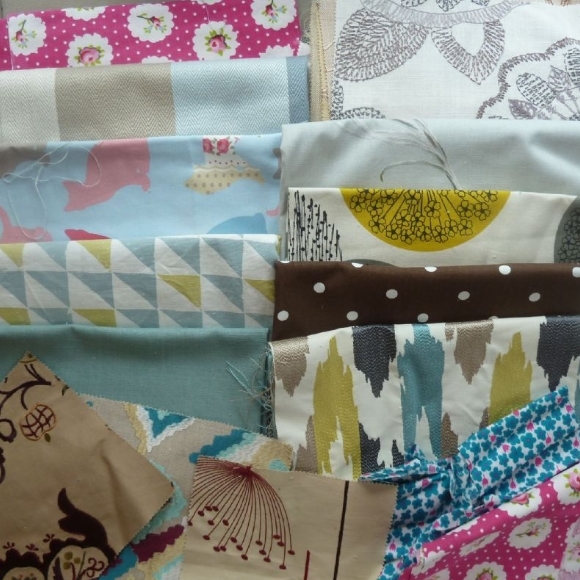 Fantastic lot for craft-work, patchwork, bag-making etc. Approximately 3 kilos of fabric pieces. Some small, some larger. Various designs, some very pretty. Prints, weaves, embroideries. Some of these are samples, some are just short ends, but if you are making products this is a really useful lot. Fabric may vary from the image. These are only available to UK customers.